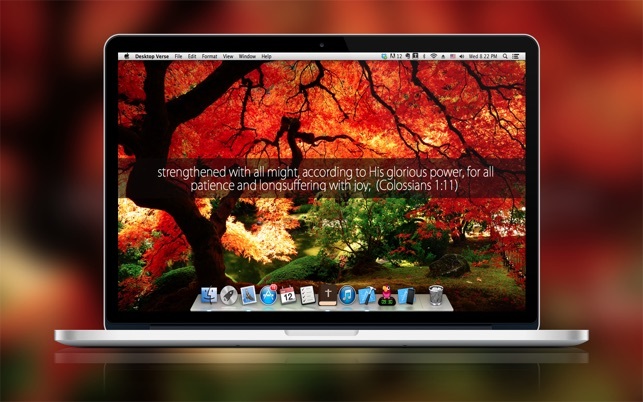 Desktop Verse is a simple utility to add random bible verse to your desktop. + A new day with a new bible verse. 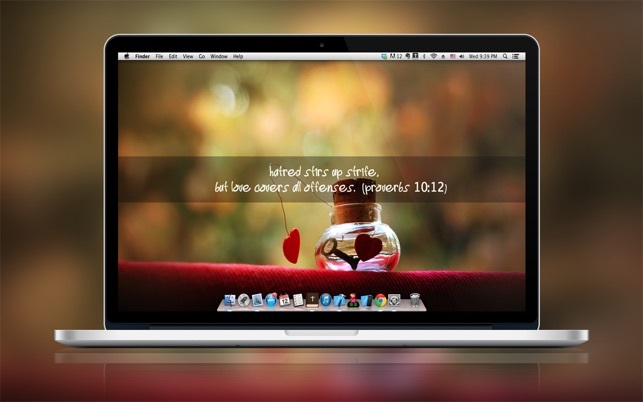 + Simple design that allows you to add the verse to the desktop over your own wallpaper. + Change Font size from the Preferences. A great reminder of how awesome our God is. I love the verses. I love the fact that you can choose different bible versions and the option of turning off the auto updates. Love opening my desktop even more now. I always feel like I have a word from God everytime I look at my computer, it is very inspirational! 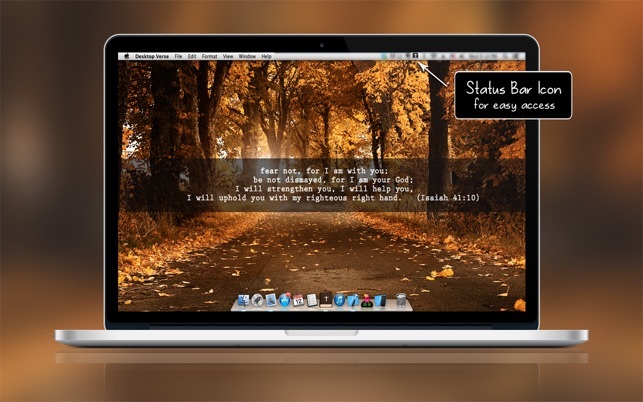 You can customize the verse translation, the color of the scripture text and film. Black fill box and white text or the white fill box and black text. You can also set the transparency of the fill and the width of the fill box. You can also select the update frequency : every 12 or 24 hours. Where I place the Scripture it on the screen, its in the same position everytime I get on the computer, I mention this becuase someone complained about this when I was reading reviews a year or so ago. 1. Just be sure if you choose a big font and make the width of the box too large that you do not position the Scripture to close to the top or bottom of the screen. If you have a new verse that day or the next day with alot of words it migtht seem to fall off the screen. 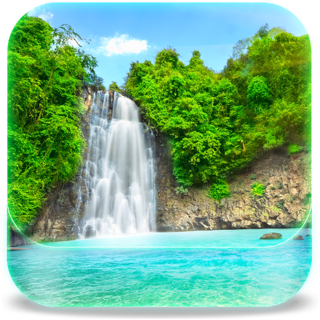 So don’t put it too close to the top or bottom the scriptures vary in the length by day. Its easy you can go in the preferences in the (right clicking the icon in the doc) or in the menu dock. 2. Also be sure to uncheck “keep on top of other windows” in the preferences so that you desktop folders remain above the Scripture or you won’t able to select them. 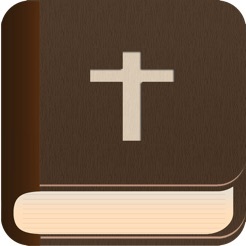 This is a good app for all who hunger and thirst for brief Scripture readings on their Mac computers. It’s a good way to get a random, yet meaningful Scripture reading, even at the start of your computer. Sometimes I notice typos in the verses, like missing parts of a verse, and partial words at times (a hypothetical example would be: "I [ca]n do all things through Christ which strengtheneth me.”) The parts in brackets would be the parts that would (hypothetically) be missing from a verse in some instances. I just downloaded the latest update and it worked the first time after the update, then I restarted my computer and now when I start the app, it appears to start because I can see the icon in the finder bar at the top of the screen, but no verse appears. I have tried adjusting where the verse appears (bottom or top of screen) to no avail. Copyright © 2016 Mighty Appy - Marian Raafat. All rights reserved.